Million Lenjiso distinguished himself academically at the University of Washington where he was awarded a full scholarship to pursue his Master’s Degree in Law (LLM), which he received in 2012. Million Lenjiso is a case manager at the Law Office of Daniel J. Smith. He was born and raised in the Oromia region of Ethiopia. He attended Haramaya University where he was awarded a Bachelor in Laws (LLB). While attending Haramaya University, he was active in several extracurricular activities and he represented the university and his country both nationally and internationally. Of note is his work in the area of environmental and health law. He participated in the 2010 Copenhagen Competition in Denmark and D.M. Harish International Moot Court in India. As a result, he has significant experience in both domestic and international law. Prior to joining the Law Office of Daniel J. Smith, he worked with James Bible Law Group as a legal intern and Oshan & Associates as a legal assistant. 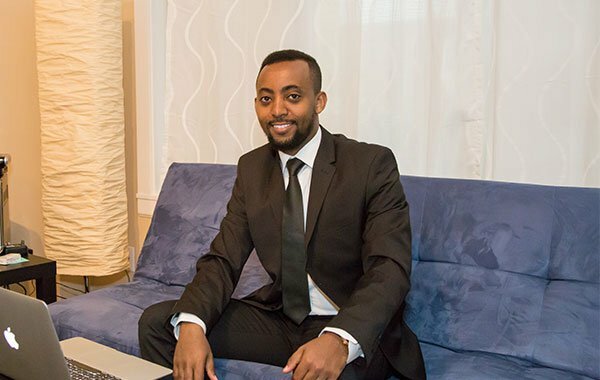 Million is fluent in Oromo, Amharic, and English, and is a great asset to our firm.